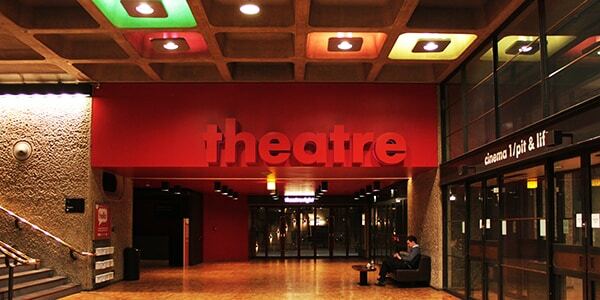 The Barbican Centre opened in 1982, after the completion of the Barbican Estate. Both buildings are located in an area bombed during World War 2. The theatre was built as a London venue for the Royal Shakespeare Company, but the company decided not to renew its contract in 2002. The theatre has undergone several redevelopments over the years, including an acoustic re-engineering in 1994, and £7.5 million refurbishment of the hall in 2001 (the same year it became Grade II listed). As well as its 1,166-seat theatre, the centre also holds a concert hall, an art gallery, 3 cinema screens, conference halls, restaurants, and a smaller 200-seat theatre venue. The centre hosts a variety of productions, including transfers of popular productions (such as Richard II), ambitious reimagining’s of classics, international companies, and dance shows.